Youth to Youth identifies young people as the driving force behind impacting critical teen issues like bullying and school climate. The same Y2Y model of youth-led prevention that has been successful for over thirty years in drug prevention and youth development engages young people in resisting and reducing bullying and improving school climate through education, personal growth, community change, and alternatives. In developing the knowledge, skills, and support to become upstanders rather than bystanders to bullying, youth become a powerful force in making positive change in their schools and communities. Appropriate for any adults who work with youth, this training includes basic bullying education, effective prevention/early intervention strategies, and how to engage young people in new or existing efforts. This can be tailored to fit the needs of the school, community, or group and can be delivered in a condensed one hour presentation or up to a day-long training. Through skits, video, games and personal stories, C.R.E.A.T.E. P.E.A.C.E. 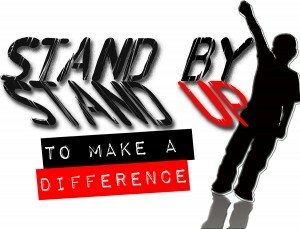 teaches students 11 simple ways to become upstanders to bullying. Presentation package includes discussion topics and copy of skits, as well as an overview on the 11 ways students can become upstanders to bullying. Cheryl Sells csells@youthtoyouth.net for more information. 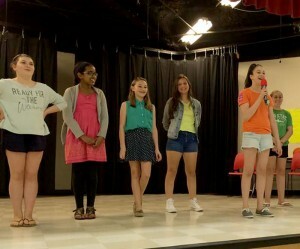 Thank Goodness I’m Female “T.G.I.F.” middle school program. For up-to-date, accurate information & resources for parents, schools, and students visit www.StopBullying.gov.